However things shake out with China under the new White House administration, let's look closer at the basic premise of this argument -- namely, that China's government manipulates the currency. Every Sunday, Tuesday and Thursday, our Asian-Pacific Short Term Update brings you new, objective forecasts for the Nikkei 225, ASX200, Hang Seng, Shanghai Composite, S&P Nifty and more. We've just released the December 20 issue, and we're offering it to you -- FREE -- through this special offer. March 18, 2014: "The dollar is rallying and the yuan falling as wave 5 appears complete. With prices breaking out now above the upper weekly Keltner channel for the dollar versus the yuan, we can state that a very large dollar rally is in its early stages." May 11, 2014: "The dollar rally this year versus the Chinese yuan is the largest against that currency since rates were allowed to partially float twenty years ago. The daily chart shows that the dollar has completed five waves up against the yuan. The daily Jurik RSX has now turned lower with a bearish divergence. We should expect some additional pullback in the dollar now versus the yuan. [It] will present an opportunity to become bullish on this cross rate on further weakness." December 9, 2014: "We showed the long-term Yuan charts a few times earlier this year after the dollar completed a long-term, five-wave decline. The subsequent dollar yuan rally managed to break above its upper weekly Keltner channel and then challenge the upper monthly channel. Then, the dollar began a months-long pullback against the yuan. We've been waiting for signs of the next wave higher in dollar yuan. That wave is beginning now." January 27, 2015: "A long term dollar rally versus the yuan fits Elliott Wave International's outlook for deflation. ...the dollar rally versus the yuan remains in its early and formative stages." July 30, 2015: "It's been some time since we checked in on the dollar yuan exchange rate. The rate is pegged by the Chinese government, though it is subject to market pressures. We've been patiently awaiting an upside breakout in the dollar against the yuan. Recent news reports have highlighted the increasing flight of capital from China. That capital flight causes upward pressure on the dollar yuan, which is the direction we've been expecting this market to take for some time. Reports are also tracking heavy Chinese selling of U.S. Treasuries in order to dampen the upward pressure on dollar yuan. For now, the peg holds tight, as shown in the weekly chart. Yet at some point, markets are bigger than governments. We expect dollar yuan to defeat those who are determined to peg it. ...when that time comes, it will be a third-of-a-third wave higher for the dollar against the yuan [targeting] trading area at 6.80." August 23, 2015: "China is holding the line again on the yuan, but their very small devaluation is lagging far behind the large moves in their neighbors' exchange rates. The offshore yuan continues to put pressure on the Chinese for further devaluations. That devaluation will come, but we may need to wait a while before it occurs." October 13, 2015: "The bigger picture in the yuan shows that the dollar decline since the sharp devaluation move is clearly corrective. To sum up all the evidence, we are closely monitoring these markets for an expected resumption of volatility across all financial markets." November 10, 2015: "The dollar is once again stronger versus the offshore yuan than the official, onshore, pegged trading. A higher dollar versus emerging market currencies will once again pressure China to devalue the yuan. We continue to expect the yuan to trade at 6.8 per dollar in coming months." December 15, 2015: "We're seeing the Chinese yuan's steady devaluation as the fixed onshore exchange rate continues to follow the offshore rate, where the dollar is moving higher. The 6.80 level of Minor wave 4's trading range as shown on the monthly chart is our minimum target for this move. The yuan's devaluation will keep the pressure on emerging market currencies in coming months. Each country believes the best way to fight deflation is to devalue their currency and export that devaluation to their neighbor. These pressures on all currencies to devalue will continue into 2016." January 12, 2016: "The yuan will move lower regardless of Chinese government actions. But this reversal today likely marks the wave (iii) top in the dollar, so we may expect a week or more of quieter yuan trading before the long-term dollar rally resumes." April 24, 2016: "The yuan seems poised for another round of devaluation as the dollar exchange rate moves higher in Minute wave v."
May 10, 2016: "The dollar is moving higher again versus the yuan as Minute wave v gathers upside momentum. The dollar is trading at the largest premium over the yuan on the offshore market since February. Look for the dollar to continue towards our long-term price target at 6.80 yuan per dollar in coming weeks and months." June 19, 2016: "The dollar advance against the yuan continues. This Minute wave v rally is orderly so far." October 4, 2016: "We have a long-term minimum target of 6.83 for this advance, which is the level of the previous fourth wave, the end of the Minor 4 triangle in 2010, shown on the monthly chart. We first issued that price target over a year ago in 2015. This strong, long-term trend up in the dollar versus the yuan deserves our respect." November 8, 2016: "The Chinese yuan has reached our long-term price target of 6.80." "The [dollar/yuan] rate is pegged by the Chinese government, though it is subject to market pressures. This article was syndicated by Elliott Wave International and was originally published under the headline Chinese Yuan: "Manipulated" Does NOT Mean "Unpredictable". EWI is the world's largest market forecasting firm. Its staff of full-time analysts led by Chartered Market Technician Robert Prechter provides 24-hour-a-day market analysis to institutional and private investors around the world. On November 9, the United States woke to the biggest political shock since Harry Truman defeated "shoe-in" Thomas E. Dewey in the 1948 U.S. presidential election. For U.S. bond investors, the 2016 election has been head-spinning too. In the weeks leading up to the November 8 vote, the ground beneath U.S. Treasuries seemed as stable as log-rolling competition. Have things calmed down now that Donald Trump has been named the next leader of the free world? Back and forth, and back and forth, with no end in sight. It's the worst-possible scenario for investors seeking clarity into where U.S. treasuries will trend in the coming days and weeks. Now for the good news: The near- and long-term trend changes in Treasuries are not tied to the ever-shifting opinions about Trump. In our opinion, they are driven by investor psychology, which unfolds in Elliott wave patterns on price charts. To see some evidence of that, let's remove the alleged "Trump" card for a second and review the recent performance in the 30-year Treasury bond market. In July of this year, the 30-year Bond yield was circling the drain of an all-time record low for the biggest bond-prices bull market in over 50 years. At the time, the news du jour wasn't Trump, it was Brexit; specifically, the June 23 referendum vote by Britain to leave the European Union. "The Daily Sentiment Index of bond traders is up to 95% bulls and the Commitment of Traders data shows that Large Specs (as % of OI) were at 15.44% as of two weeks ago, an all-time record net-long position. "The belief that bond prices will continue to rally and yields will continue to decline is near universal, which, ironically, is exactly the condition that attends trend reversals. "A decline through 173^05.0 will indicate that a top in prices is in place. Prices could fall another 5-10 points very quickly thereafter." Bond market volatility surrounding the presidential election isn't going to die down any time soon. Fortunately, that won't interrupt your ability to gain objective insight into the world's leading bond market -- should you choose the Elliott wave method as your road map. Much like a great sports play; to appreciate a great market forecast, you have to see it. In fact, we'd like to show you four. Our examples do indeed show what can happen when Elliott analysis meets opportunity. But we're not asking you to attend a class in 'good calls.' In each of these four markets, the unfolding trends have (once again) reached critical junctures. You really, really want to see what we see, right now. This article was syndicated by Elliott Wave International and was originally published under the headline Did U.S. Treasury Bonds Just Get Stumped by Trump?. EWI is the world's largest market forecasting firm. Its staff of full-time analysts led by Chartered Market Technician Robert Prechter provides 24-hour-a-day market analysis to institutional and private investors around the world. "If there's something that can help the outlook for earnings, then it's going to be good news for the stock market. It is the most important variable," said [a] chief investment officer. Strategists are watching whether earnings growth will sustain further gains in the market. The chart shows that in 1973-1974, earnings per share for S&P 500 companies soared for six quarters in a row, during which time the S&P suffered its largest decline since 1937-1942. This is not a small departure from the expected relationship; it is a history-making departure. Earnings soared, and stocks had their largest collapse for the entire period from 1938 through 2007, a 70-year span! Moreover, the S&P bottomed in early October 1974, and earnings per share then turned down for twelve straight months, just as the S&P turned up! Many market commentators either ignore or are unaware of the evidence which challenges the bedrock theory that earnings drive stock prices. Financial market prices are not set in an exogenous-cause world. You don't buy stocks on record earnings; you buy them on bad earnings. I recommend covering our short position at today's close. ... Our main job is to keep the money we have. If we exit now, we will do that. Just 10 trading days later on March 9, 2009, the Dow Industrials bottomed and has since advanced about 177%. That market call was based on the Wave Principle, not an exogenous factor like corporate earnings. Remember, the Dow Industrials started its years-long advance when corporations were reporting losses. This article was syndicated by Elliott Wave International and was originally published under the headline Here's Why Investors Should Ignore Earnings Season. EWI is the world's largest market forecasting firm. Its staff of full-time analysts led by Chartered Market Technician Robert Prechter provides 24-hour-a-day market analysis to institutional and private investors around the world. Forecast 1: A two-month, double-digit rally in a blue-chip stock index, even as investor sentiment hit a negative extreme last seen at the epic market lows of March 2009. Forecast 2: A 70% decline in the base commodity that runs the industrialized world (when most traders were bullish). Forecast 3: A 30% plunge in shares of Wall Street's favorite company -- its worst price decline in three years (even though every advisor with a pulse rated it a "buy"). Forecast 4: A four-year, 44% decline in a "must-own" commodity (even though central banks world-wide were bullish this commodity). They all stand as contrarian cases-in-point, because virtually no one else saw them coming. These particular calls were made by Elliott wave analysts, and we're about to show you how you, too, can make lucrative market calls like these. Now, please know this is no invitation to a class in "good calls." We highlight these markets because many of the Elliott wave patterns we identified in 2014, 2015 and 2016 are still unfolding right now. And more, potentially larger, opportunities are developing before our analysts' eyes. You can read all about these exceptional forecasts -- plus learn how to make forecasts like these for yourself -- in our free four-part report titled The Power of the Wave Principle: 4 Incredible Market Forecasts You Have to See to Believe..
To be a contrarian is to identify and act on trends no one else sees coming. So if you want to start "investing as a contrarian" -- and get and stay ahead for the big price turns the experts never see coming -- this is your best first step. See the evidence for yourself, and make up your own mind. Spend now through October 18 getting free trading lessons that you can apply to your trading immediately -- from one of the world's foremost market technicians, Jeffrey Kennedy. Your FREE week will include lessons on support and resistance, Elliott wave analysis, momentum, candlestick analysis and more! Register now and get immediate access to 3 introductory resources. Register now and get immediate, FREE access to 3 valuable introductory trading lessons that will prepare you for the FREE Trader Education Week. This article was syndicated by Elliott Wave International and was originally published under the headline (Interview, 6:13 min.) Trading with Elliott Waves Doesn't Have to Be Complicated. EWI is the world's largest market forecasting firm. Its staff of full-time analysts led by Chartered Market Technician Robert Prechter provides 24-hour-a-day market analysis to institutional and private investors around the world. Announcing Trader Education Week -- A FREE trading event that will teach you how to spot trading opportunities in your charts. Spend October 12-18 getting free trading lessons that you can apply to your trading immediately -- from one of the world's foremost market technicians, Jeffrey Kennedy. Register now for your FREE week of trading lessons and get immediate access to 3 introductory resources. You have an opportunity to spend the next week learning how you can spot high-confidence trade setups in the charts you follow every day. Elliott Wave International (EWI) is hosting a free Trader Education Week, October 12-18. Register now and get instant access to free trading resources -- and you'll receivemore lessons as they're unlocked each day of the event. Plus, you'll be invited to attend a live, online webinar with Jeffrey Kennedy on October 13 and have the opportunity to ask him questions about the lesson he teaches that day. Jeffrey Kennedy, EWI Senior Instructor and a Chartered Market Technician, has taught thousands how to improve their trading through his courses, subscription services and as an adjunct professor of technical analysis at Georgia Tech University. Now you have the opportunity to be a student in his online classroom, as he takes complex technical methods and tools and breaks them down so that you can apply them to your trading immediately. Don't miss this opportunity to learn how to spot trading opportunities in the markets you follow. Register today and get your first 3 free trading resources immediately, plus we'll alert you to valuable new resources unlocked every day beginning October 12. 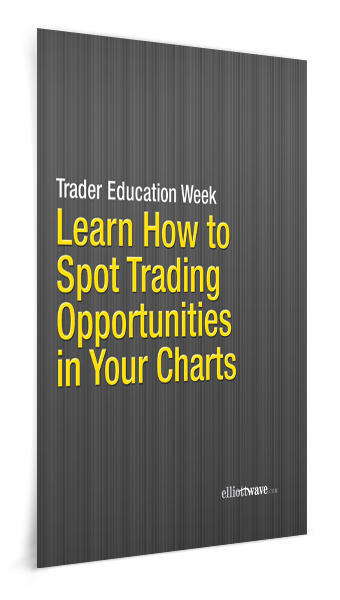 Register for Trader Education Week -- It's FREE!